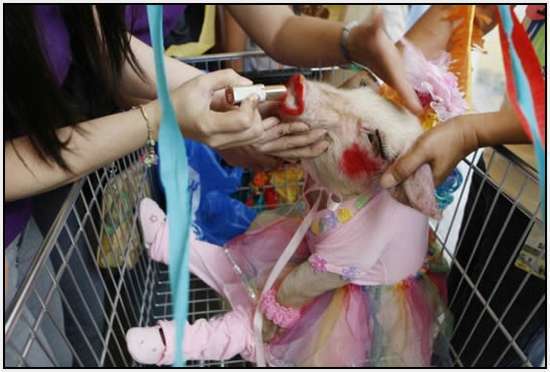 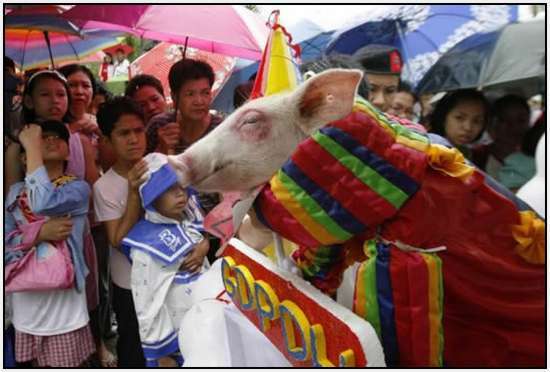 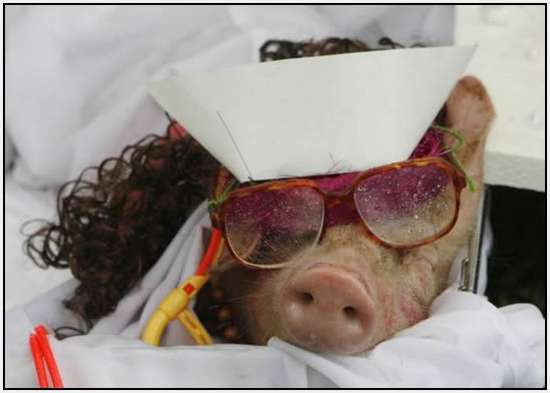 Dozens of pigs wearing make-up and funny costumes are displayed through the streets of Malolos, during the Hog Parade. 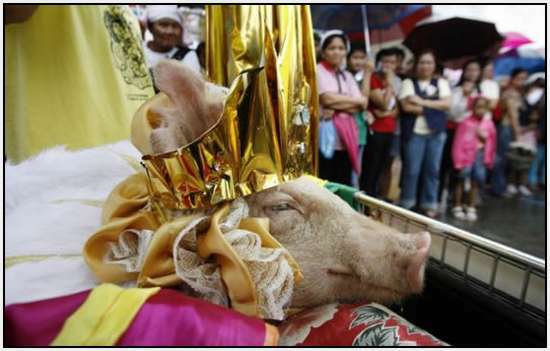 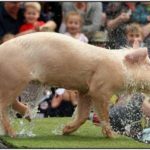 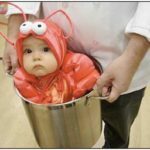 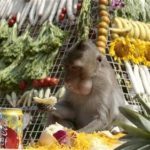 Highlighting a week-long food festival in the Philippines, the Hog Parade took place on September 12, in the town of Malolos, Bulacan province. 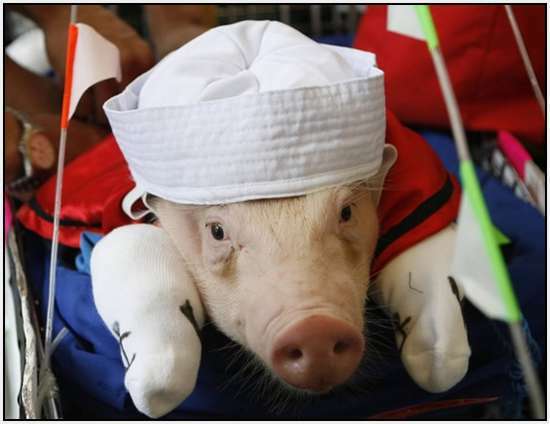 The tasty protagonists were dressed as Superman, Popeye, clowns, queens and even brides. 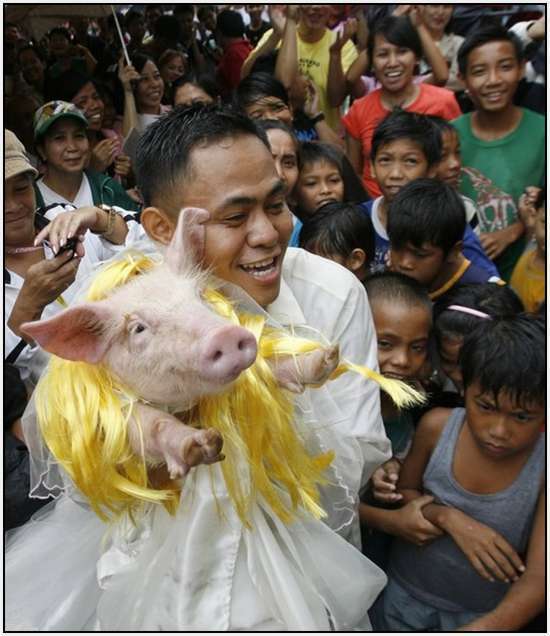 After the fun Hog Parade, the people of Malolos feasted on some free roasted pig, offered by the local authorities. 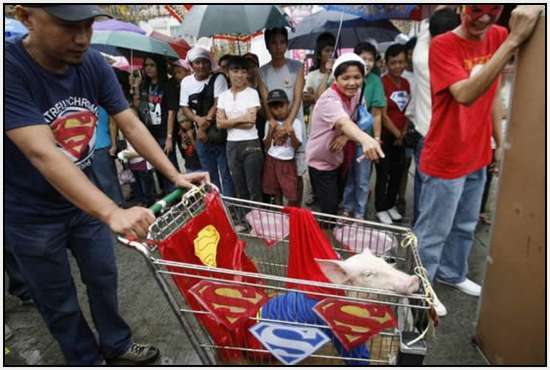 Malolos is the main supplier of pigs in the Philippines.